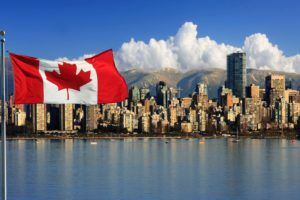 British Columbia is set to join other Canadian provinces in giving hotel owners the option to allow recreational marijuana consumption in guest rooms, opening the door to potentially lucrative new cannabis tourism opportunities. According to the province’s new and amended regulations for cannabis legalization, released Friday, hotels may choose to allow cannabis consumption in rooms by registered guests. The regulations also carve out an exemption to the ban on indoor public consumption for assisted living and retirement facilities. Hotels would still be subject to municipal bylaws, many of which prohibit smoking in hotels. Tourism opportunities are already on the radar of some smaller municipalities in the province, according to Ian Dawkins, principal consultant of British Columbia-based Althing Consulting. “When you’re talking about cannatourism, you look at Colorado and the massive tourism revenue that came after legalization there,” he said. “It’s definitely something that the more progressive smaller municipalities (in B.C.) are looking at already. Gavin Surerus, owner of Victoria, British Columbia-based Canna Tours, says B.C.’s move will benefit tour operators, tourism-related businesses and bed and breakfasts. It also gives illicit businesses an opportunity to transition into the legal industry. Ontario introduced legislation in September that would give hotel owners the ability to allow recreational consumption in guest rooms – marking a major boon for the tourism sector in that province. Alberta and Prince Edward Island also plan to give hotel owners that option when recreational cannabis is legalized across the country next week. Creates two classes of licenses – one for retail stores and another for marketing. Prohibits the opening of cannabis packages or consumption in privately owned retail and government stores. A maximum possession limit of 1,000 grams of dried cannabis, or equivalent, for nonpublic places, such as in a home. A comprehensive set of rules for the public consumption of nonmedical cannabis, including a ban on smoking or vaping in most indoor public places, public patios, regional and municipal parks (except for designated campsites) and provincial parks (except in designated smoking areas). The Cannabis Control and Licensing Transitional Regulation prohibits the operation of a marijuana delivery service. All cannabis sales and accessories will be marked up 7% to account for British Columbia’s provincial sales tax.